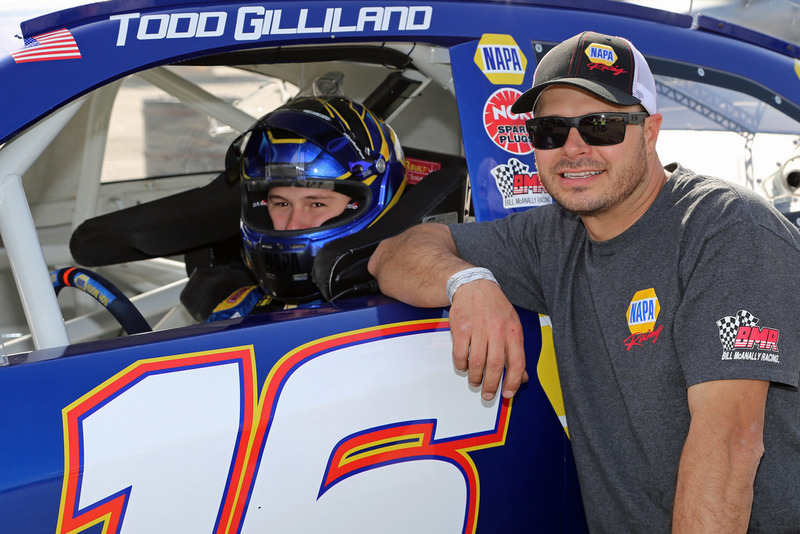 Todd Gilliland and his father David announce their big plans for 2018. Todd will compete for the 2018 Camping World Truck Series 'Rookie of the Year' title. However, since he is currently only seventeen, he will need a substitute driver for some of the bigger tracks until he turns eighteen in May. It is no surprise that Gilliland’s boss Kyle Busch will step-up to fill that gap. However, what was a pleasant revelation is that Todd’s father David will fill in for his son for the Daytona race. NASCAR Race Mom will be thrilled to see David back on the race track this year. Based in Mooresville, NC, the David Gilliland Racing Team has been successfully involved in NASCAR racing since 1998, ranging from weekly division events at the grassroots levels to regional touring series at numerous asphalt and dirt tracks throughout the country. This successful family owned operation believes there is no other sport where families play such an important role in helping build the future stars of NASCAR.